On this fast-track project, I assisted HOK’s design director and Mark Cavagnero in the design of many crucial elements as well as providing the necessary documentation and field coordination with the GC (Pankow). 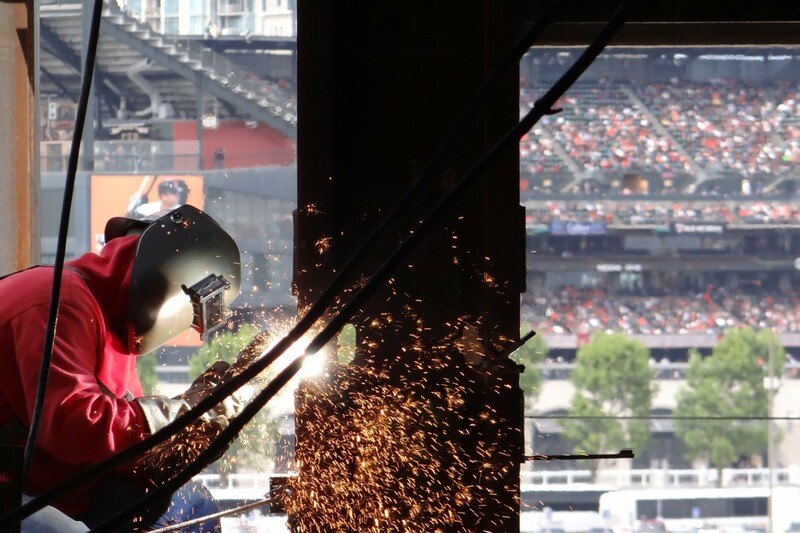 The project is located on a City owned parcel in the Mission Bay Redevelopment Area and will house the police administrative headquarters, a relocated district police station, a new district fire station, and fleet vehicle parking. In addition, the project includes the rehabilitation of an existing 1920’s masonry fire station for community uses. The project anticipates a LEED® NC ‘Gold’ certification and with completion of construction targeted for early 2014. 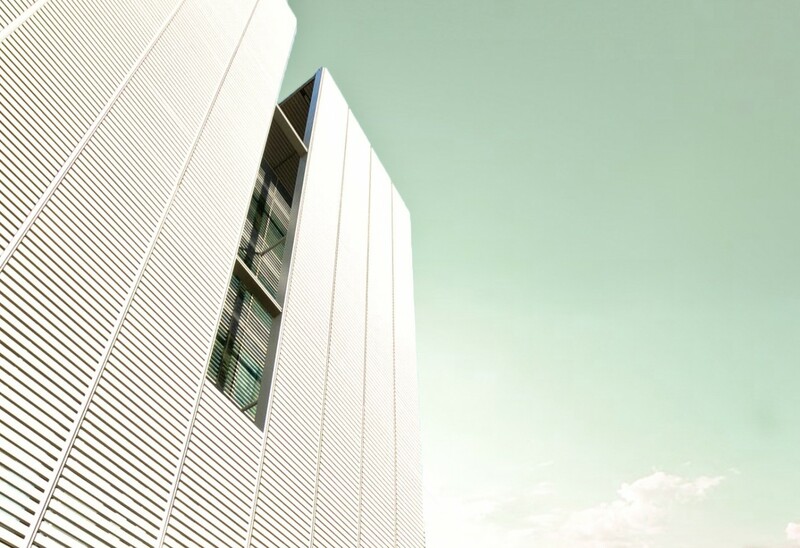 Civic Presence- A beautiful civic building that is both responsive yet distinct from the surrounding planned development. Building organization uses lower podium levels to house local services including the police and fire stations along with the most frequently visited portions of the police headquarters. The upper levels contain office space for the police headquarters. Planning requirements stipulated building height was not to exceed 90’. Particular care was taken in developing the project massing to be respectful of the existing two-story structure. 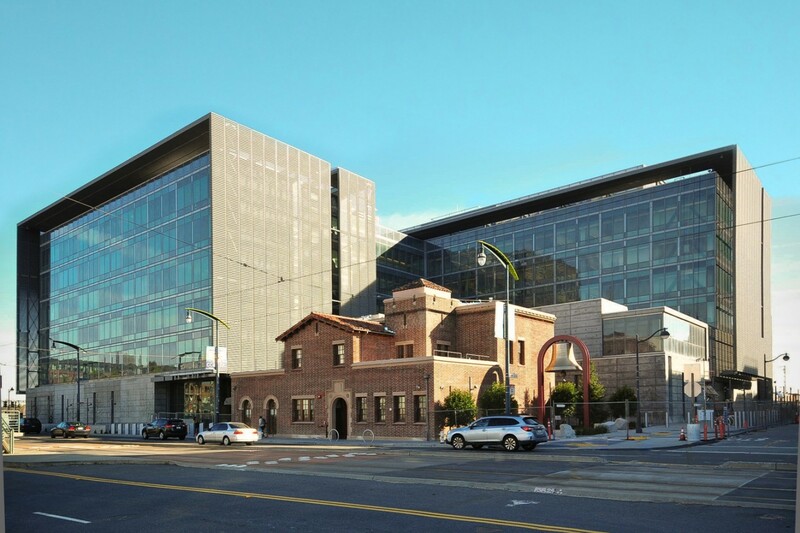 By creating a central entry court that incorporates the existing building as the south face of the plaza the historic masonry structure is able to maintain its unique identity while playing an important role in the overall composition of the site. 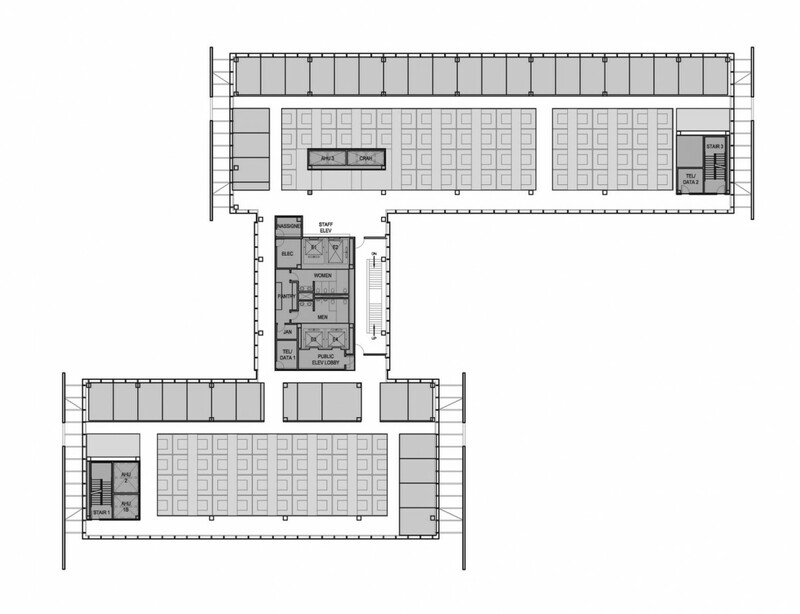 A 63 feet wide floorplate was established for upper office floors based on test-fits of the program and the ability to maximize natural daylight. A ‘Zee’ shaped plan of two wings connected by a central core was developed. 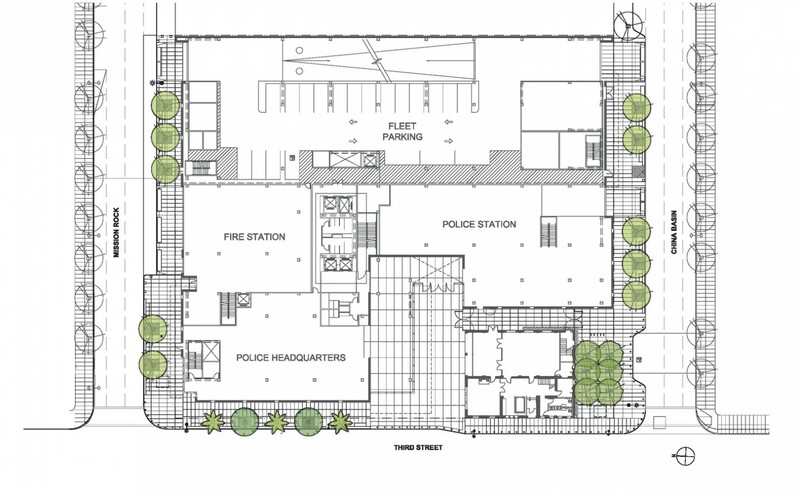 The 4-level tower forms two outward facing courtyards atop the podium for the use of police and fire department staff. 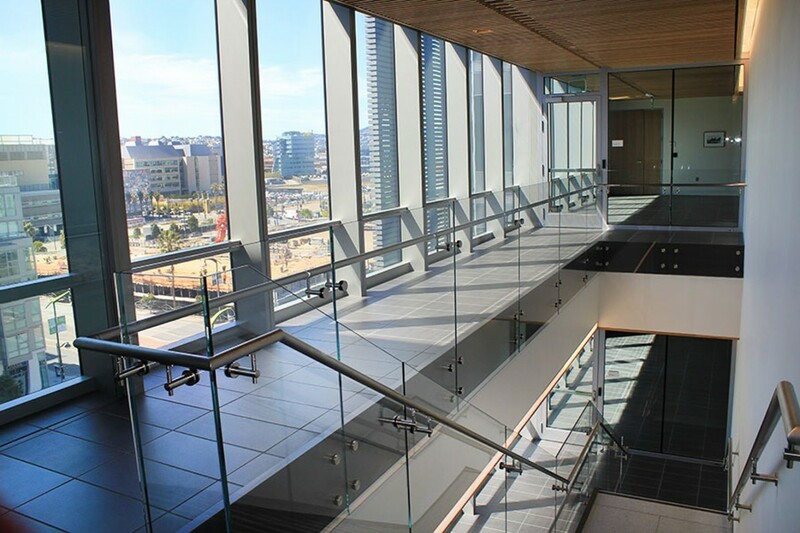 Circulation is concentrated along the west perimeter facade with office and conference rooms facing east and open office area in between. Functional excellence- A quality and durable work environment.